Good morning I hope you guys are having a fantastic new year! I have been working hard on a slew of fun new projects to share with you ! Which include lots more free printables, and an entire set of pallet wood DIY’s so that you can add farmhouse decor to your home using a single pallet! ?I hope to see you back for those posts as they go live! be sure to follow me on Instagram that is where I hang out most often and keep you all up to date with the progress of all the projects and DIY’s I’m working on as well as subscribe to my YouTube channel where I regularly upload the DIY and decor videos for each project! Now that it’s the new year it’s time I start introducing a new set of farmhouse printables! I have made a ton of farmhouse inspired printable sets that I will be rolling out over the next few weeks! This first set is one of my favorites because it incorporates one of my favorite things to do and that’s “Shiplappin'” My first shiplap project can be seen HERE in my daughters room and the full tutorial can be found HERE.? 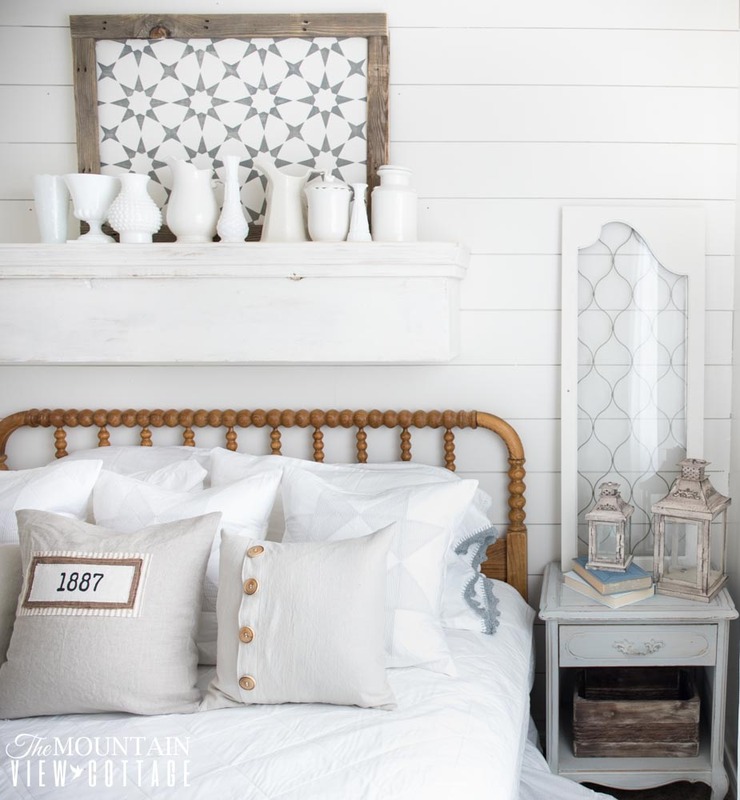 I love shiplap for several reason but mostly because it adds so much character to your home!! 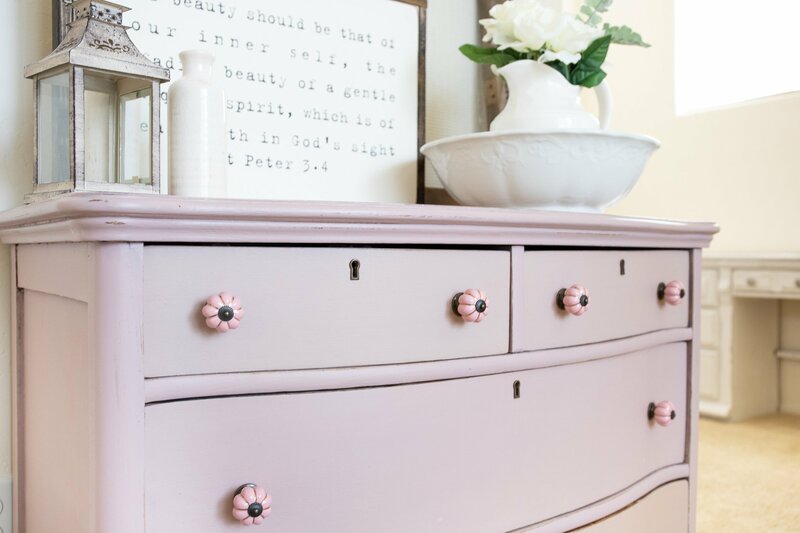 I thought it would be fun to round up 4 really east ways to add character to your builder grade home as I share these free printables with you today! I was beyond ecstatic when we moved into our very first home. It was a new build and we came in about halfway through the building process and were able to help design a few of the finishing touches. Since it was our first home we didn’t have a ton of extra cash to pour into upgrades. This was perfectly OK with us because we knew that any home would be better than renting and a new home was also an even bigger blessing! We decided not to worry too much about the things we couldn’t change about the home as it was being built because we knew we would be able to add more character as we moved in and worked hard to make it our own! It’s now 4 years later and while we still have many rooms I’d like to tackle and do more too, we have come a long way and the little cookie cutter home we moved into now has so much more character and I love it even more than the day we moved in!! So here is a list of 4 things you can do to add character to your builder grade home. For your convience this post contains affilate links. This may be something you would over look when it comes to adding character to your home but paint can be an affordable and simple way to add style to every room in your home. weather you decided to pick a neutral color scheme or go crazy with color you can create a color pallet that flows through your home adding so much more life to every space!! NEW HOME OWNER TIP: this is one of those tips I’ve had to learn the hard way. Don’t pick out paint before you move in, and don’t try to paint every room the first month you move in. The lighting in each room will reflect colors so differently, give yourself some time to move in and get a really feel for the space and actually live in it before you pick out a paint color, I would also suggest swatching the colors you are deciding between on the wall and live with it a little while before you decide on anything. I made the mistake of painting too quickly and now have lots of wasted hours, and paint that I am making my way to covering up one room at a time. This is my absolute favorite way to add character to a space. 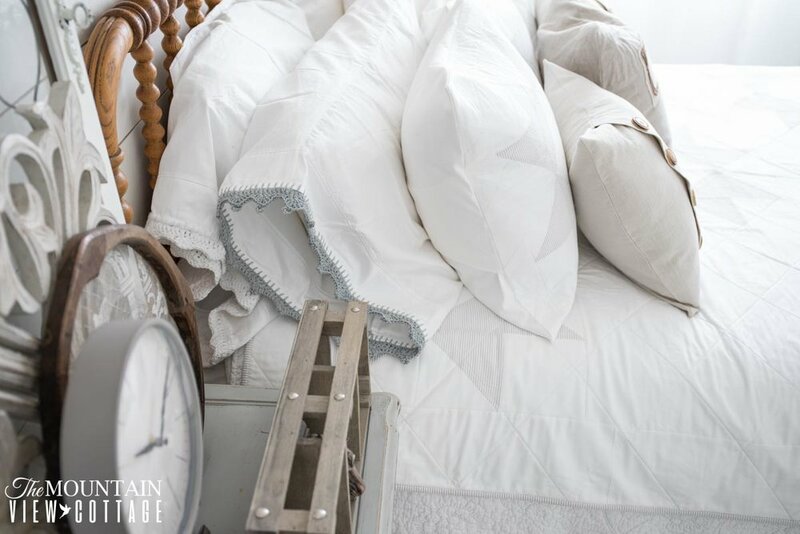 there are so many ways that you can dress up your plain walls to really give them character and charm! 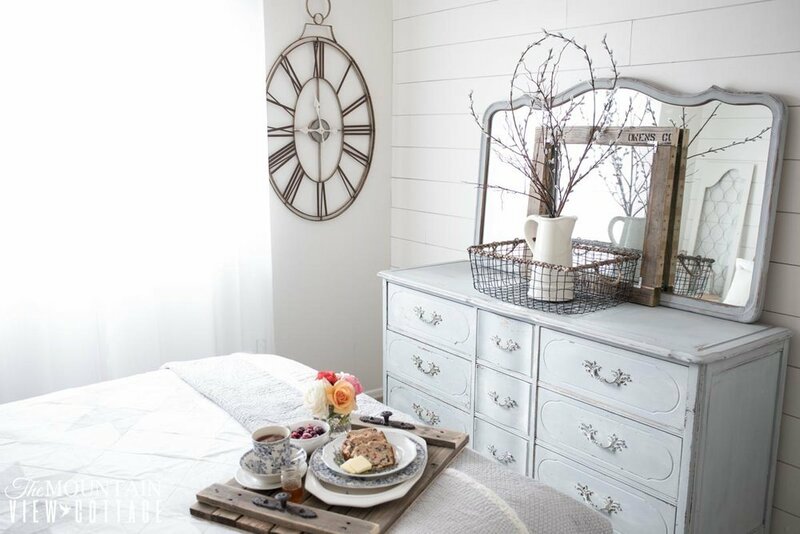 I have added board and batten in my formal living and dining room, shiplap in my guest room and family room and I also added a chair rail to my master bedroom. I have a video tutorial HERE for the board and batten, and another tutorial HERE for the shiplap. These project require some skills and tools to tackle but if you can set aside a long weekend or work intermittently you can add some amazing wall treatments to your home that really make it stand out! It also will add value to your home if you choose to sell it in the future, so there is a good chance your investment will be returned. DIY TIP: Home depot now carries shiplap and barn wood! Making it easier than ever to add character to the walls of your home! 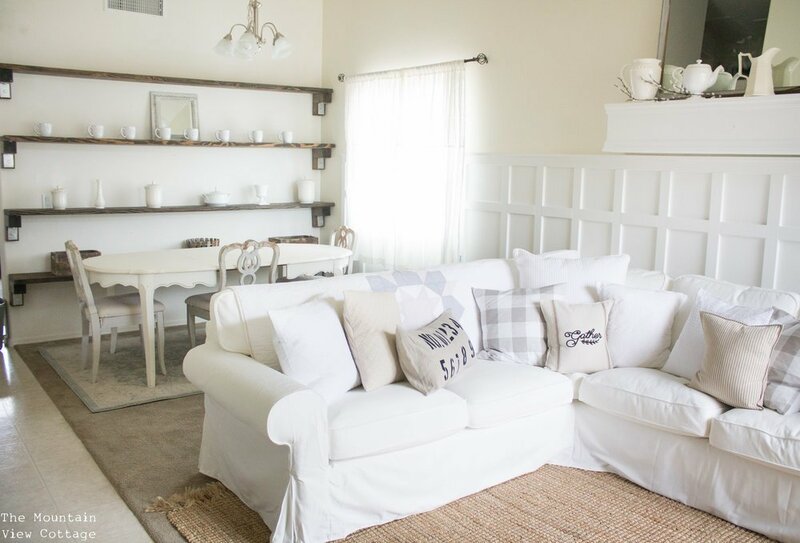 Last winter my husband and I installed these huge industrial farmhouse shelves to our formal living room, these are not “built in’s ” per-say but add the same character and give you a dedicated area to really decorate and make your own! you can find the full tutorial HERE. I have also added smaller versions of these using brackets like THESE to my bathrooms and kitchen to not only add character but make the spaces more functional and organized. Rugs can be a super affordable and effective way to add character to your builder grade home. Since upgraded flooring was not in our budget, and we still are not in a place to be able to replace the cheap carpet and linoleum flooring, we have used rugs all throughout our home to really make the space our own! This is also another way to really add character to your home! Finding your style can be tricky. I love to get onto pinterest and find inspiration and then try to re create certain looks and feels in my home!! This also doesn’t have to break the bank! I have found some of my favorite decor items from Goodwill, or in the clearance section at target, and home goods, the trick to to only buy things you really love and slowly create a space! It doesn’t have to happen over night! 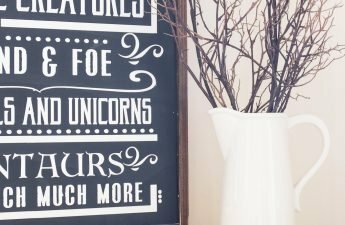 This will ensure you create a space that’s really you, and you don’t end up purchasing decor items that you regret! PRO DECOR TIP: if you have decor items in your home that you don’t love sell them on local yard sale pages to make money to put towards new items and make more room! I hope you found these 4 tips helpful on your quest to creating a home you love! Below you will find the download for 4 farmhouse inspired printable sayings! Be sure to pin the image below to save these 4 free farmhouse prints and tips for later! !